Vitamin C is one of the important nutrient that us essential for the brain development. 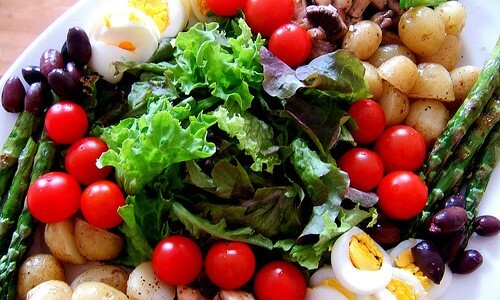 This kind of vitamin helps in the prevention of common cold and this also decreases the symptoms of allergy and asthma. This serves as a protection for heart related problems and also cancer. Vitamin C is one such element that is essential for the development of neurotransmitters. Neurotransmitters are those which make the communication between the neurons possible. This also helps in making the brain capable to concentrate and focus on particular thing. This has a control for the regulation of the mood and also serves as an antidepressant. The memory power also gets improved along with the IQ. Vitamin C reduces the possibility of age related disorders like Alzheimer’s. Vitamin C serves as an antioxidant. Vitamin C protects the brain from the free radical damage. Vitamin C makes the flow of blood easier and smooth. The deposit of oxygen and the nutrients that are essential get increased. Brain has the tendency to accumulate the metals that are toxic. In such situations vitamin C acts as a detoxifier that plays a vital role to remove these metals. It would be best to eat these vitamin-rich foods to live healthy. Vitamin B is another nutrient that is most commonly used .This pertain around 8 nutrients which include thiamin, niacin, panthothenic acid, riboflavin and folic acid. Vitamin B helps in reducing the stress. The release of serotonin and dopamine gets smooth that lead to the generation of peaceful mood. Another type of brain vitamin that increases the memory capacity is choline. This is another form of B-complex. Choline is the vitamin that is developed in the liver .This is one factor that synthesise the acetyl choline which is necessary for the cognitive function and one of the most important neurotransmitter. This acts as a protection against many neuro related diseases and also helps to maintain the memory of an individual for a long term period. Choline is the vitamin that can be consumed from food such egg. If it is not possible to consume this from food there are supplements which are available to keep the acetyl choline balanced. Magnesium: This helps in boosting the energy of a person. This is one of the essential nutrients to improve the brain capacity. Vitamin D: This is one of the mineral that works as a catalyst in the brain. If the vitamin D of a body gets low then the ability of the brain for the formation of neuro connections gets decreased. Vitamin E: This serves as an antioxidant and protects from the free radicals. Stress can be reduced by this vitamin .This gets released by the formation of energy. People possessing a diet of low fat are deficient of vitamin E.
Vitamin B6: This is an essential vitamin to increase the memory power of the person. This also prevents from the depression that is affected. People who are anaemic can benefit from this vitamin. It helps in the proper production of the blood.